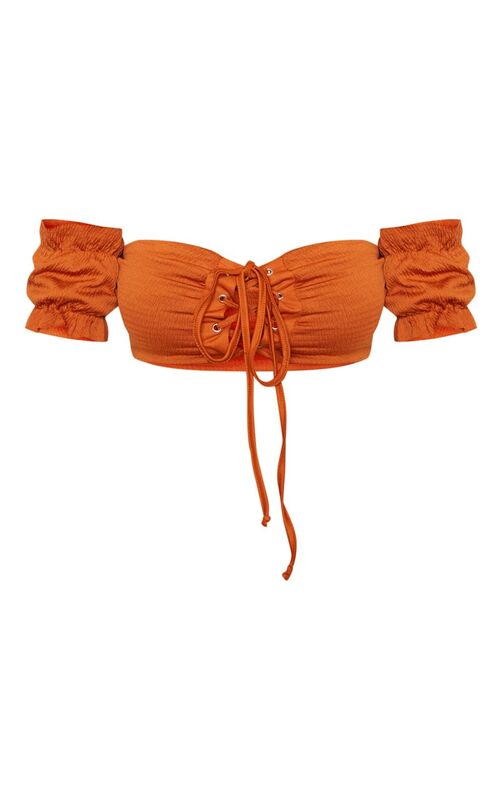 This totally flattering bikini top is gonna make sure your looking your best by the pool side. Featuring a rust crinkle material with a lace up design and flattering bardot neckline, what's not to love? Team with the matching bikini bottoms and complete the look with statement earrings.